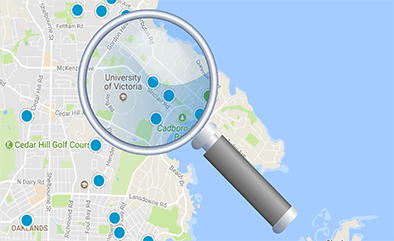 Langford is the most progressive Municipality in Greater Victoria. LANGFORD is one of the few if not the only municipality in the region where the developers are in charge and where growth and construction are aggressively promoted. Stu Young, the ever popular long running mayor and successful businessman, who usually wins his seat by acclamation, has turned the Municipality around over the last 25+ years from a depressing landscape of run down shacks and low grade commercial buildings, formerly known as the dog-patch, into the thriving, modern, and attractive city it is today. Adjacent to Langford is the Town of Colwood; it fits into a similar category but is more conservative, less progressive, and less inclined to allow high density housing that is serviced by insufficient infrastructure. Langford is always open for business and Real Estate developers seem to call the shots here, with ever increasing development density, and narrow roads and parking stalls finding planning and council support, making housing more affordable and shopping less expensive, but that also comes at a cost of increasingly congested traffic, parking problems, and questions on whether the existing infrastructure will fail to keep up with the growth. The mainly younger family oriented population, many of whom are employed in the construction sector, supports the growth. 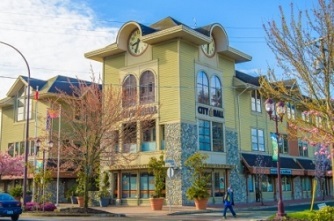 So, if you are a young start-up family looking for a single family home on a narrow lot for under $700,000, and don't mind a busy high traffic atmosphere then Langford is the place for you. 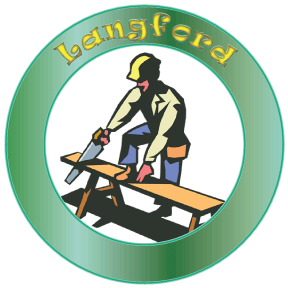 Langford started as a Gold Rush town in the mid 1800's and was so named after Captain Langford who came to Fort Victoria as a retired British army officer on behalf of the Hudson's Bay Company to take charge of their 600 acre farm called Colwood. Langford was once a favorite day tripper and holiday destination town for many Victorians, to the then elegant Goldstream House of the late 1800's, and the many hunting lodges that had been set up around Langford Lake. The then new Esquimalt and Nanaimo railway provided convenient access into the area. In the early 1900's Langford went into a massive decline along with the Real Estate crash that impacted all of Greater Victoria for many decades. Langford turned into a rather unseemly district during that time and did not recover as quickly as many other parts of Greater Victoria that were well back on their feet soon after WWII. Langford continued to languish until the mid 1980's when the Real Estate cycle that appears now to be coming to an end had it's healthy beginnings, and when Stu Young got elected to turn to the Municipality around into it's current thriving metropolis. Bear Mountain is the newest and also the most exclusive development that was developed in conjunction with a golf course and resort bearing the same name by the now disgraced former hockey player Len Barrie. Barrie developed the area into a golf course after he was ejected as a member by the Royal Colwood golf club over a tree cutting incident in which he was found to be illegally chopping down some trees on club property in order to improve his own. "I was thrown out of my golf club so I decided to build my own" he is reported to have said. Unfortunately the venture did not go entirely as planned and Barrie along with a larger number of hockey buddy investors lost a fortune when the massive infrastructure costs associated with the construction of a major access road into the difficult and rocky topography of Bear Mountain could no longer be sustained in a declining Real Estate market forcing the entire project into receivership. Bear Mountain Real Estate prices went into a major decline in the combination of the insolvency incident, the stock market crash of 2007 and loss of the hockey star mystique but has since made a major come-back with the environmentally themed Ecoasis development company taking over the project. 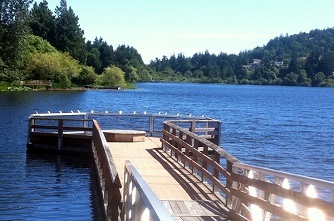 Overall, Langford may be a modern city now but it still leaves much to be desired. The much maligned Colwood Crawl, an area of traffic congestion between the Victoria Core and all of the municipal districts to the West of Victoria that includes Langford, Colwood, Sooke, parts of View Royal, and the Highlands District, continues to plague the area. The "Crawl" takes up to 30 minutes to circumnavigate in heavy traffic that is only expected to get worse with population growth rates in the Western Communities projected into the stratosphere. Local and regional governments continue to come up with band-aid solutions to this issue, like the current construction of the Mckenzie interchange at the corner of McKenzie Ave and the highway, but in the long run the only permanent solution will be a twinning of the Trans Canada highway between the Westshore and the core areas, and with all the anti vehicle sentiment infesting the province this will likely remain a pipe dream. Another draw-back to Langford are the demographics. People there tend to be a younger, family oriented, and a more blue collar set inclined to partying and a lot of other obnoxious and aggressive behavior. It's not a good combination with the high density development in this area with larger families packed into tiny homes on postage stamp lots, and kid's toys littering the yard, or worse, beer cans, butts, and bongs strewn everywhere. But, things are turning around for Langford in this area as well as retirees from all over Canada are flocking into Victoria and also into Langford in order to take advantage of the lower Real Estate prices there.